Karna and Nick were so wonderful to photograph. They were totally into each other, they trusted me to do what I do, and let me do it. 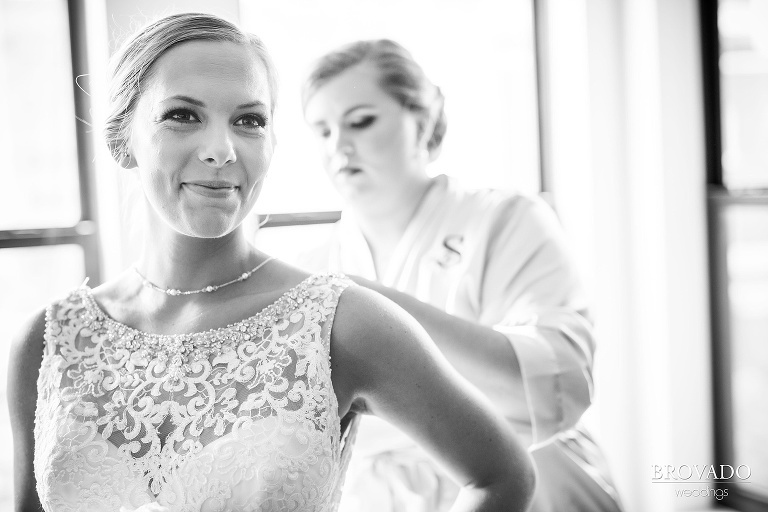 The couple allowed me to oversee their day and schedule adequate time for pictures. Because they put their complete trust in me they were able to spend their wedding day at ease, and fully enjoy their picture taking experience. Which resulted in good times and gorgeous photos taken all around the city of Minneapolis. 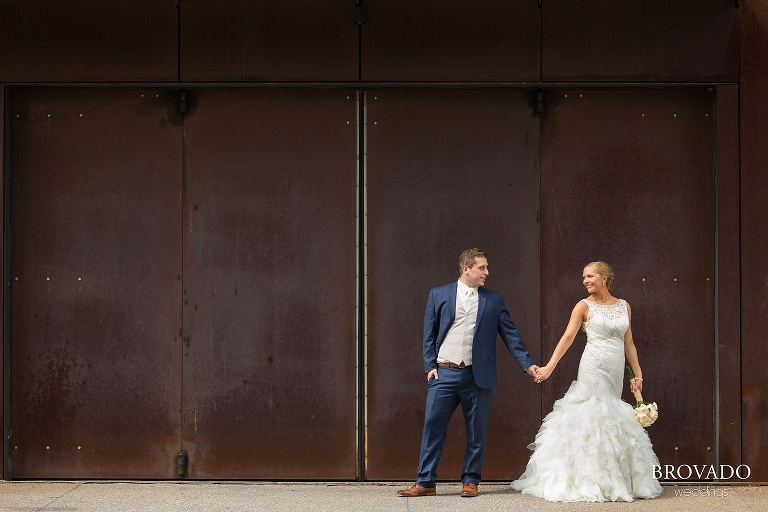 The steps of the Guthrie Theater were the backdrop for Karna and Nick’s touching first look. A moment that both the bride and groom agreed was their favorite. I easily could have told you that without even asking. The excitement and satisfaction that Nick expressed when he was finally able to see his bride-to-be was undeniable, I think he forgot I was even there. The couple had amazing chemistry, on and off camera. It was clear that they were not focused on getting incredible photos—even though they did— they were completely engaged in the moment, and with each other. 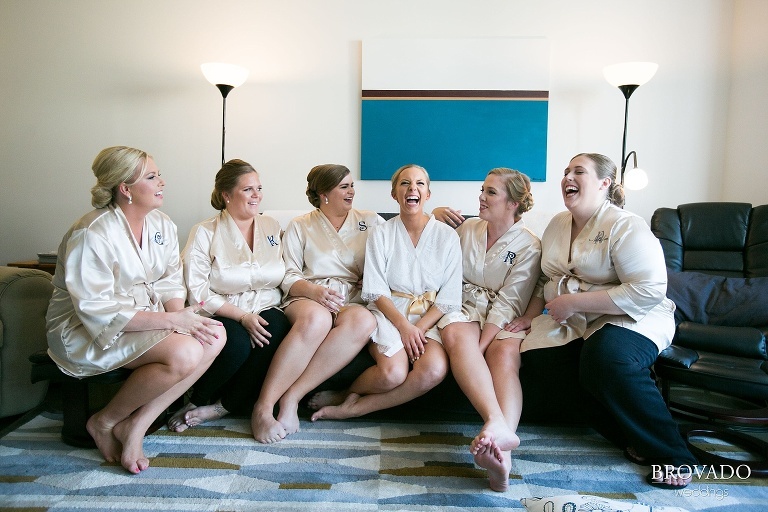 Their incredible connection never faded throughout the day, and was highlighted at their simple ceremony in 514 Studios. Karna says she doesn’t remember a single word that was said or vow that she spoke, she just remembers staring into Nick’s eyes and realizing that this moment was what they were here for. It was special. Both the bride and the groom looked completely content to be where they were. They understood that that moment was the moment that mattered the most. Nick and Karna didn’t let any moment slip away from them. We took bridal party photos at the Mill City Ruins, and then they rushed back to celebrate appropriately: with dancing, drinks, and a catered Chipotle line. If that isn’t a recipe for wedding success, I don’t know what is. And when the crazy day had come to a close, the couple and I headed out to the Stone Arch Bridge to photograph one final moment: the newlyweds in front of a stunning Minneapolis skyline at night. Together, we successfully captured every stage of their wedding day. Congratulations Karna and Nick! You two are amazing. It was an honor to be a part of your wedding day, there is not a doubt in my mind that your amazing connection will continue to grow for the rest of your lives. Oh, and they even coined their own pose! We nicknamed it the “nuzzle,” you’ll know it when you see it.